Poisoned Pen Press, 9781464201080, 271pp. 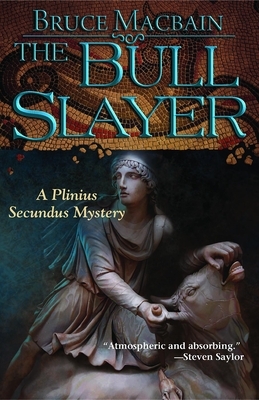 A turbulent frontier province, rotten with corruption and seething with hatred of Rome--a barbarian god whose devotees may include a murderer --a clever and unscrupulous faith healer who knows everyone's secrets--a boy who struggles toward manhood though stricken with the Sacred Disease: these are the elements in a mystery that Pliny, newly appointed governor of Bithynia, confronts when a high Roman official is found murdered on a desolate hillside, miles from the capital. But as Pliny pursues one baffling lead after another, he is being betrayed where he least expects it: his beautiful wife, neglected and lonely in an alien city, falls desperately in love with a handsome young provincial--an affair which threatens to bring not only pain but ruin to Pliny's career. All these threads come together in a surprising and tragic finale. Bruce Macbain holds degrees in Classics and Ancient History and has taught Greek and Roman history at Vanderbilt and Boston Universities. His special interests are ancient medicine and religion in the Roman empire. He brings these together in his fiction--"Roman Games" (2010) and "The Bull Slayer "(2013). He lives with his wife in Brookline, Massachusetts.